I saw a post about making solar lights out of Mason Jars. It said to paint them inside with glow-in-the-dark paint. They didn't glow, so I inserted solar lights and all was well. 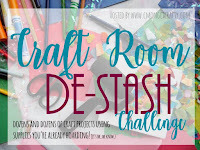 I was inspired by two posts at Crafty Gardener's blog to upscale my jars. I used cabin art supplies and Christmas tissue paper to redo my picnic table Mason Jar solar lights. 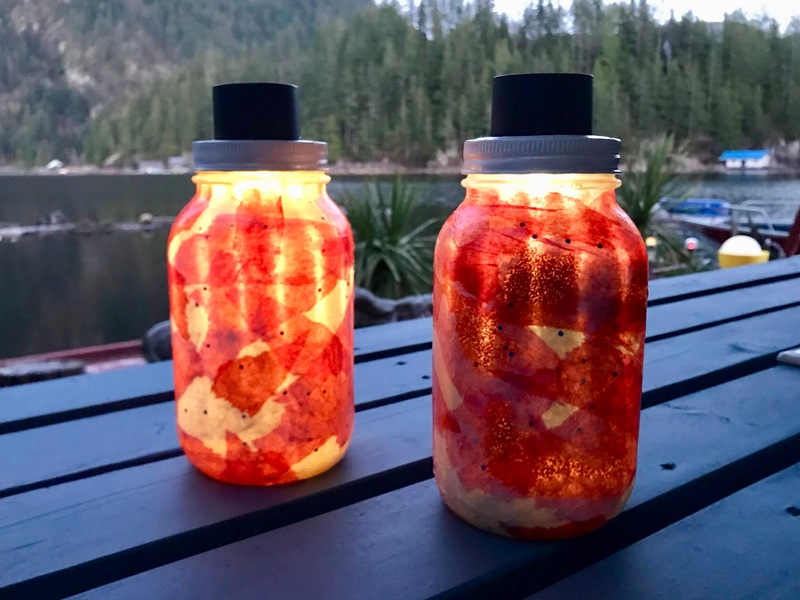 The jar lights before their makeover. 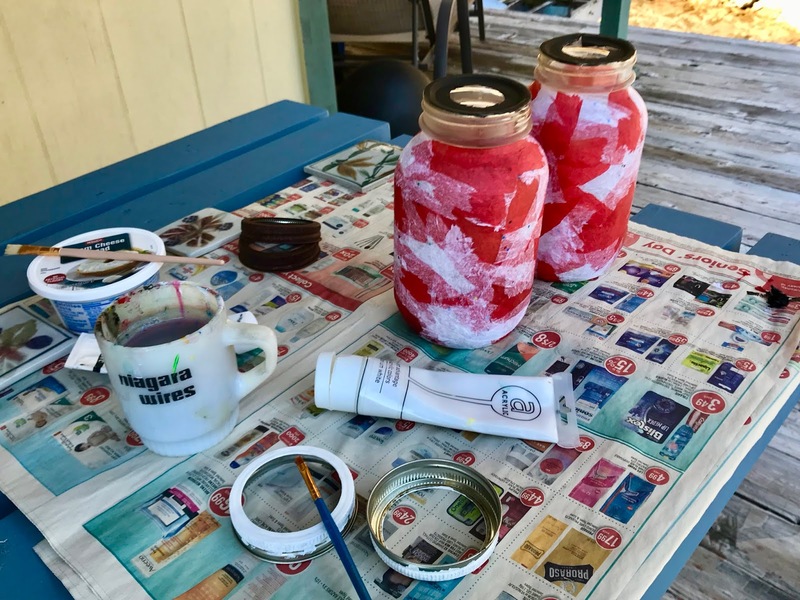 I used the decoupage method to turn my solid yellow jars into multicolour picnic table centerpieces. 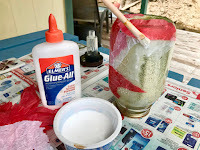 I had Elmer's glue, so I mixed it one part glue to three parts water to make a decoupage medium. You can buy expensive versions, but this works just as well. I tore the red and white tissue paper into irregular pieces. I didn't want any with straight edges. Decoupage glue with a wide brush. 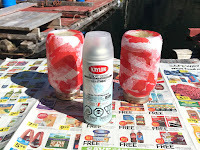 Paint a small section of the glass with the glue mixture then lay a dry piece of tissue paper on. Work it with the brush to keep the paper from sticking to your fingers. Gently paint glue over it until the paper adheres. Press too hard and the tissue will tear. Starting at the bottom, I alternated and overlapped the two colours to make a pleasing pattern. The white was opaque, so I did that part in double layers. 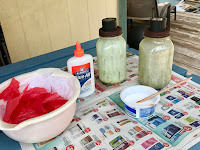 Painting the mason jar rings and tops. 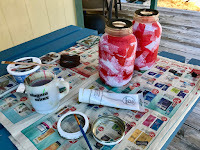 I let the jars dry before turning them over to decoupage the uppers to just under where the jar's rings screw on. 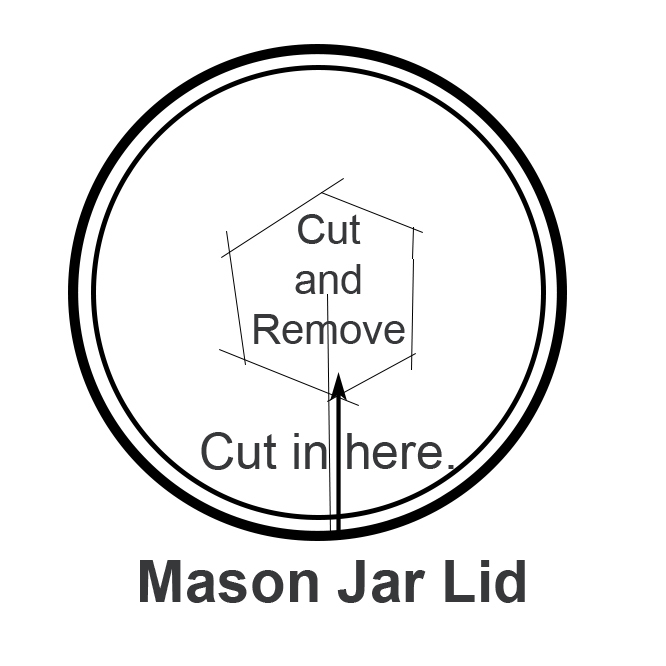 My lights are smaller than the rings, so I cut a hole in the middle of a jar lid. It doesn't have to be perfectly round. The solar light, when inserted, will cover up the edges. Don't cut yourself. Spraying on a protective coat. I dug into my canning supplies and got two new rings to replace the rusty old ones. I painted them white with acrylics. I reused the old lids I'd originally cut and painted them black to match the solar lights. Once the lids were screwed on, I sprayed the jars from all angles with three coats of Krylon Colormaster Clear Finish. This protects the paper from scraping and gives it a water resistant surface. 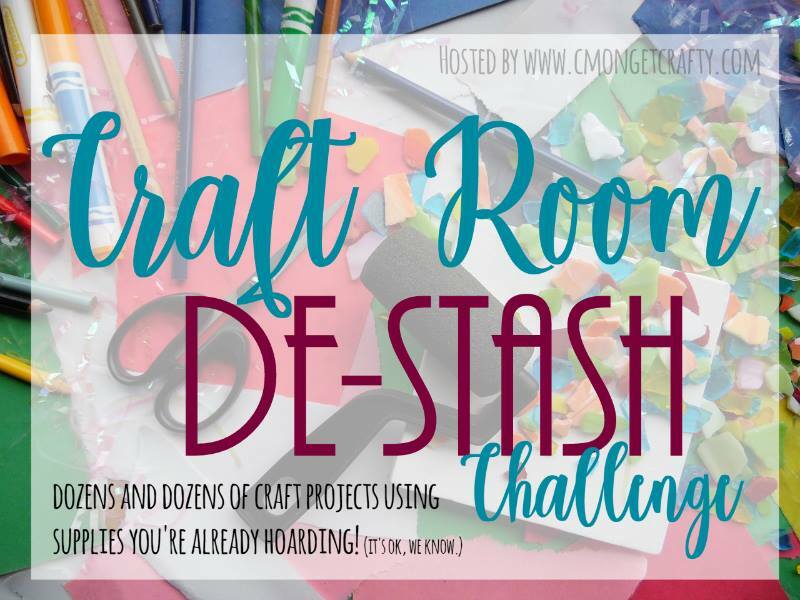 As a Craft Room De-Stash Challenge (use what you have) here's my cost. The last step was to reinsert the solar lights. I'd already removed the long tubes normally used to stake them in the ground. 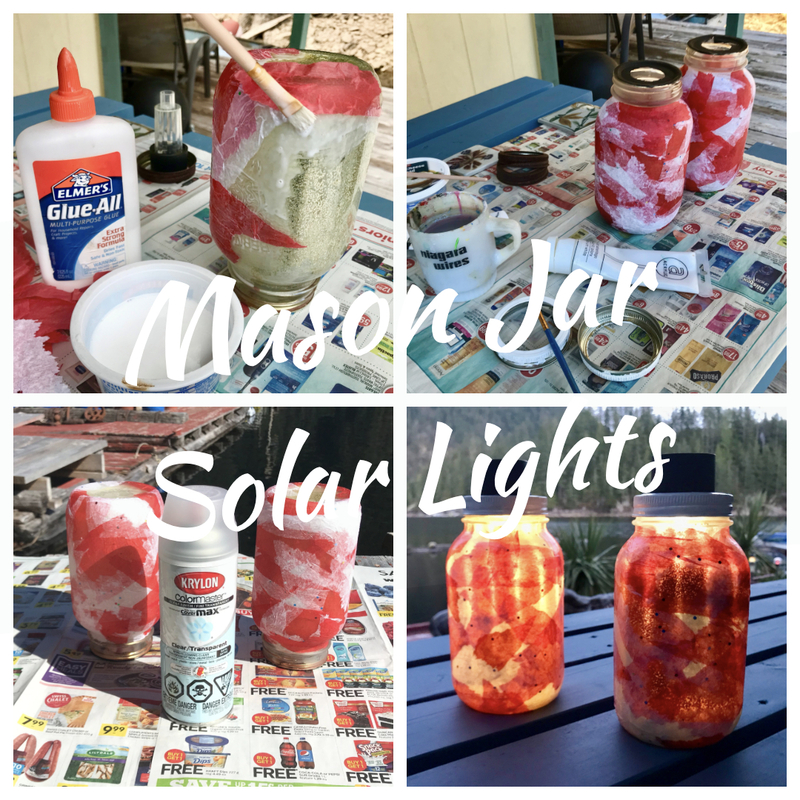 Upscaled Mason Jar solar lights on my front port picnic table. During the day they are definitely red and white. At night, they take on a golden glow because of the old yellow paint inside. I like them both ways. How about you? As a special thank you to all of our blog readers, here are three Kindle e-Books just for you. and you don't have to own a Kindle to enjoy them. Just get a free Kindle app for your smartphone, pad or computer. Check here if you need a free Kindle App. Description: Airports of Western Washington and Oregon form the backdrop for adventures in the Pacific Northwest. Take the controls of a Piper Arrow, as your personal flight instructor leads you to out-of-the-way spots. For armchair pilots and experienced pros, this book is an escape so realistic you’ll swear you’re airborne. Click here for your FREE copy of Flying the Pacific Northwest. 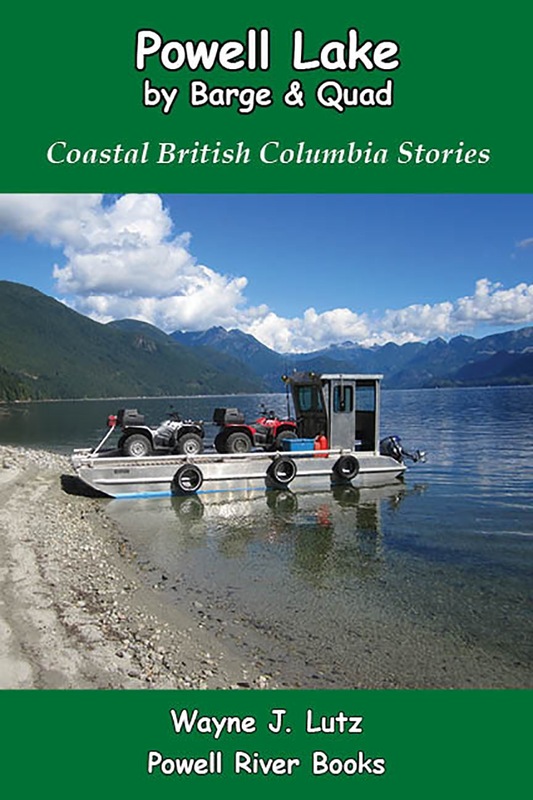 Description: Come boating up the inlets of coastal British Columbia, where the mountains drop into the sea, and lifestyles focus on self-assurance and a different sense of purpose. Follow along as we cruise northward from the Strait of Georgia, to Cortes and Quadra Islands, and beyond. Click here for your FREE copy of Up the Inlet. Description: Spaceship Challenger is on mankind’s first galactic voyage using a high-tech blend of space jumps and cryogenic hibernation. Captain Tina Brett leads her ship towards the ultimate goal, first contact with alien intelligence, until a navigational glitch changes everything. Then there's a mutiny, or is it something more? Six individuals on an epic journey for the good of mankind. 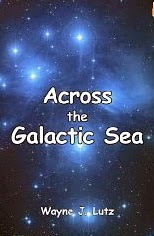 Click here for your FREE copy of Across the Galactic Sea. 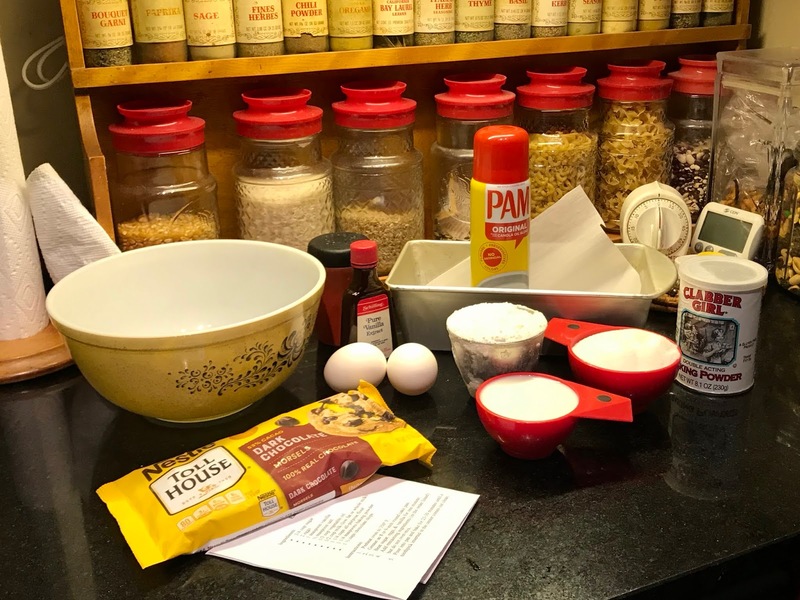 The ingredients organized for baking. Here's another baking favourite from my Fannie Farmer Cookbook. Before this recipe I made a Banana Chocolate Loaf. I just used my ripe bananas up in the Banana Nut Bread so I turned to an alternative, Fannie Farmer's Easy Yellow Cake and added chocolate chips. You'll find my recipe modifications in italics. Beat the eggs, vanilla and sugar. 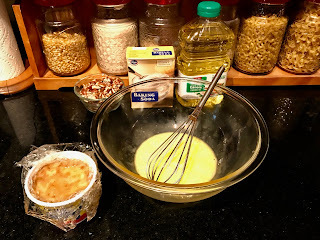 Continue to add the ingredients in order. Grease an 8 or 9-inch round cake pan. I chose to use an 8½ X 4½ loaf pan instead. 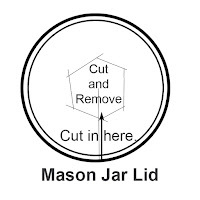 We find it easier for storing and slicing. I also used vegetable cooking spray and parchment paper on the bottom to make cake removal easier after baking. Beat sugar, eggs and vanilla for one minute. 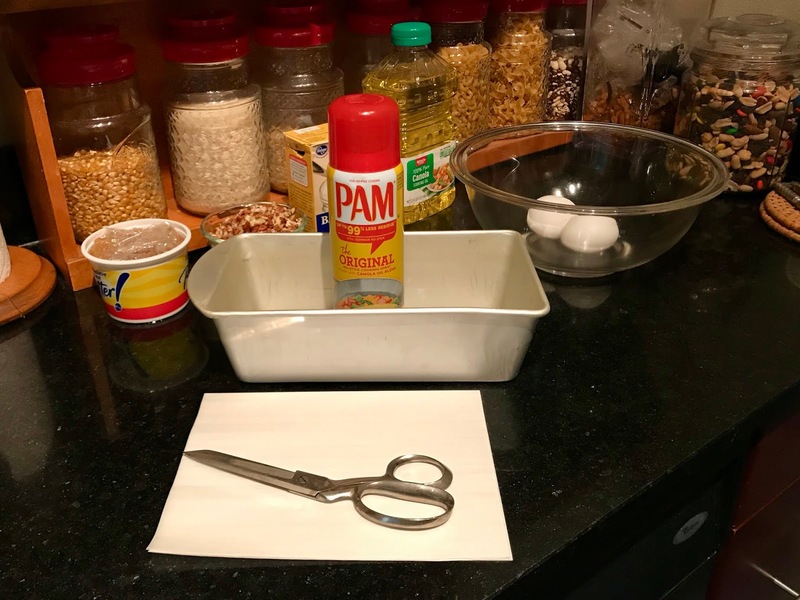 ingredients and a spoon to mix in the dry ones. After the cake ingredients were mixed, I stirred in a cup and a half of chocolate chips. 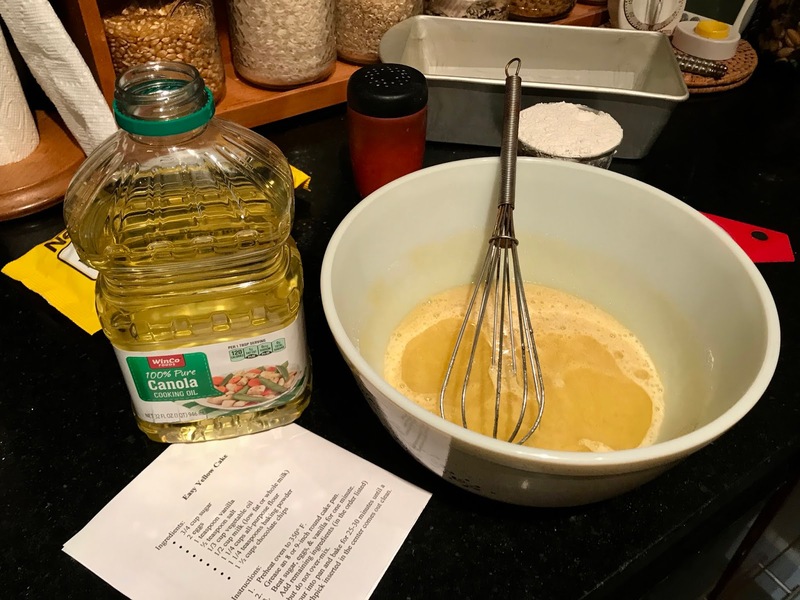 Pour the batter into the prepared pan and bake for 25-30 minutes or until a toothpick inserted in the center comes out clean. 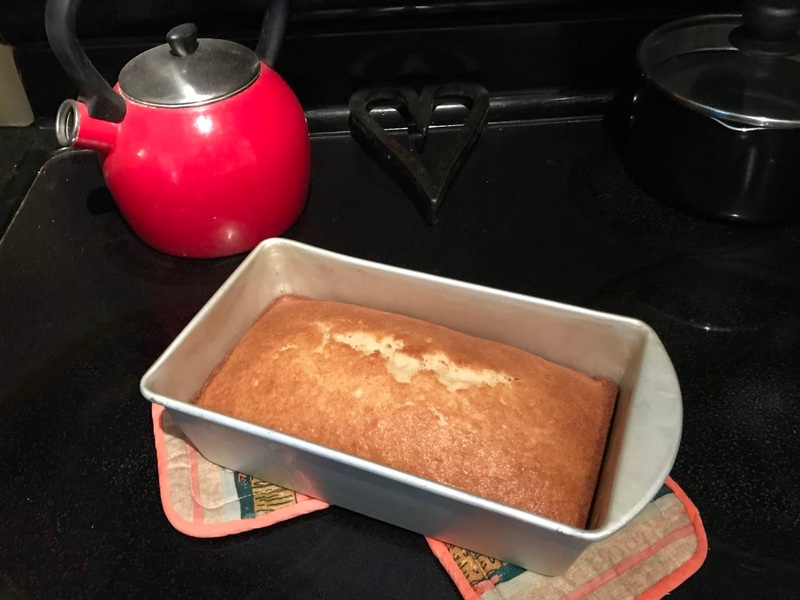 Using the loaf pan required an addition 10 minutes of baking for mine. 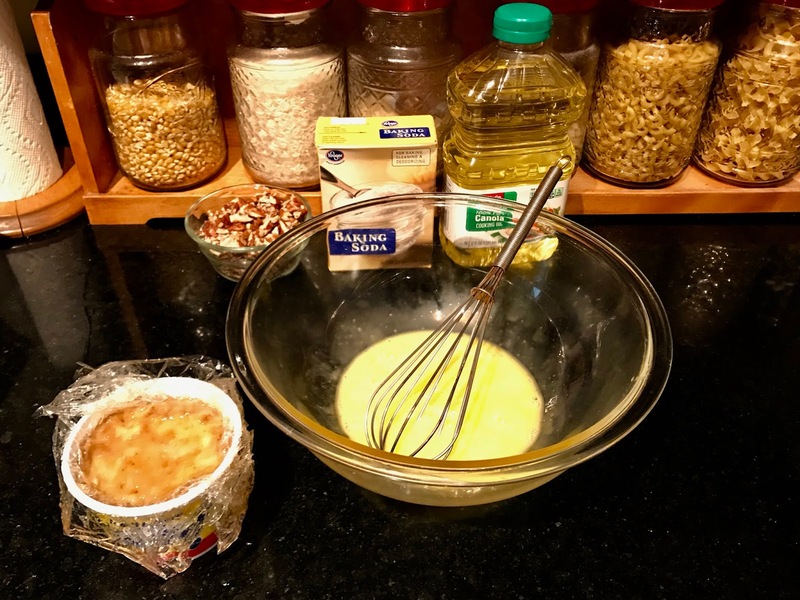 This easy to make cake makes a good dessert or sweet snack. Try it with a dollop of ice cream or whipped cream (or both) on top. Yum! 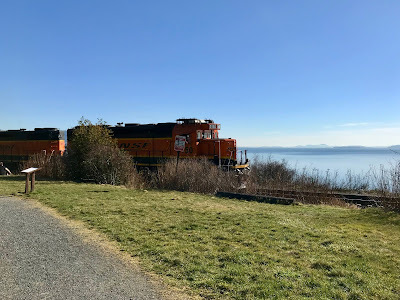 If you are a transportation nut, the place to visit is Marine Drive Park in Bellingham, WA. Marine Park is next to Bellingham Bay with spectacular views of Lummi Island and Downtown Bellingham and Fairhaven. 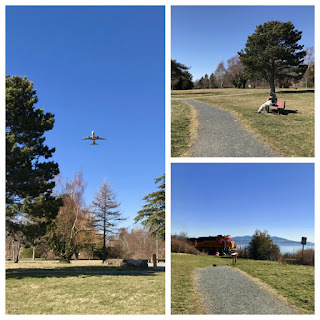 There's grass, picnic tables, trees and ... airplanes and trains. Marine Park is bordered by the train tracks that link the States to Canada. You will see both passenger and freight trains pass by so close you could almost touch them. In fact, you have to be careful since the tracks aren't fenced. While Wayne and I were there, you could hear the train's whistle as it approached from the south. This one was a BNSF (Burlington Northern Santa Fe) freight train with a mixture of cars including telephone poles, lumber and enclosed boxcars with lots of graffiti. I miss cabooses. The park is also under the flight path from nearby Bellingham International Airport. That's where we keep our airplane 997 in a hangar. It also has commercial service by Alaska and Allegiant Airlines. We saw both take off. This one was Allegiant heading to Las Vegas. We saw dog walkers, train watchers and a guy using two trees to practice tightrope walking. Marine Park hours are from dawn to dusk, but just before it closes you can see spectacular sunsets. Here are two photos from a previous visits. The first is without flash. And in this one, I used flash to highlight the native plants in the foreground. On any given weekend, or weekday for that matter, I can find many of my fellow countrymen (and women) shopping in Bellingham. 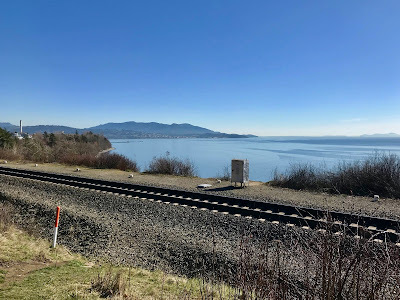 Bellingham is the closest major city south of the Canadian border on Interstate 5. That makes it a strong draw for shoppers from both Canada and the States. Prime shopping locations include Walmart, CostCo, and Bellis Fair Mall. 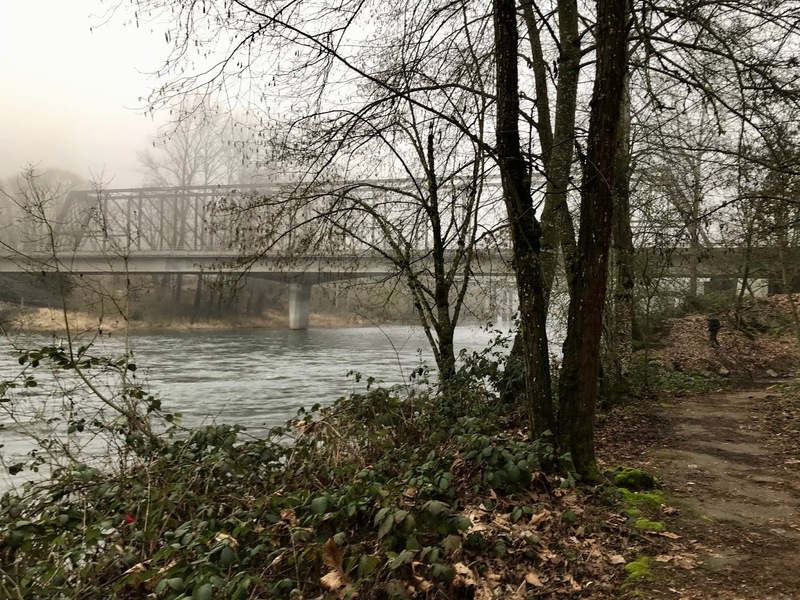 The mall is strategically located near the intersection of Bakerview Road and the Guide Meridian, both of which can easily be reached from I-5. For Canadian shoppers who want a more leisurely approach, The Guide has a border crossing at Lynden/Aldergrove. Canadian shoppers are attracted by low prices, value for their dollar and lower taxes. Even if Canadians don't stay long enough for a personal exemption, paying the required duty still makes purchases a bargain. Locals also enjoy the wide variety of department stores and specialty shops scattered throughout the indoor mall. Stopping for a snack or meal at the food court makes it a complete shopping experience. Bellis Fair has something for everyone. On the corner of the mall, but tucked away from the hustle and bustle, you'll find the Centre Pointe Condominiums. We chose it as the perfect location for us. It's close to the border for us to visit frequently, near excellent medical care including St. Joseph Hospital, and within walking distance of shopping and restaurants. And views of lofty, snow-capped Mt. Baker top it all off. Fresh baked Banana Nut Bread for breakfast. I keep buying bananas, and we keep forgetting to eat them. Once they get soft, they go begging. Last week I had three large ones beyond their shelf life. I decided to mash and freeze them for future baking. 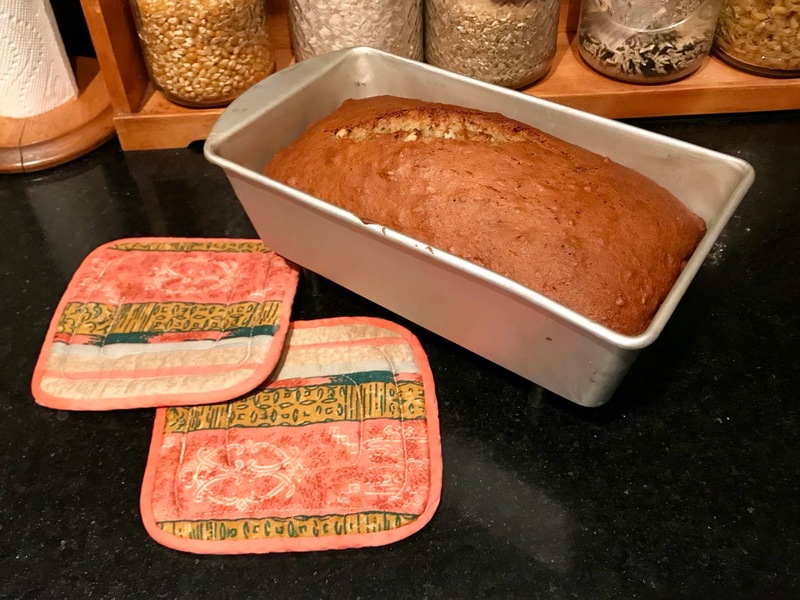 Today I thawed the prepared bananas and made fresh baked Banana Nut Bread. Here’s the recipe I used from my favourite Fannie Farmer Cookbook. Thawed frozen bananas to mix with eggs. If you don't have frozen mashed bananas, mash them fresh with a fork. Beat the eggs in a bowl then add the bananas. Mix well. 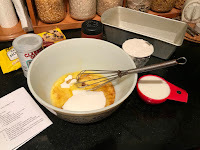 Add flour, sugar, salt and baking soda and stir. 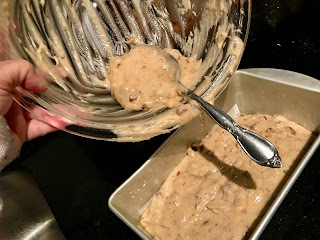 Blend in the chopped nuts (I used pecans because I prefer their flavour). Grease an 8½ X 4½ loaf pan. Pour batter (it will be runny) into the pan. 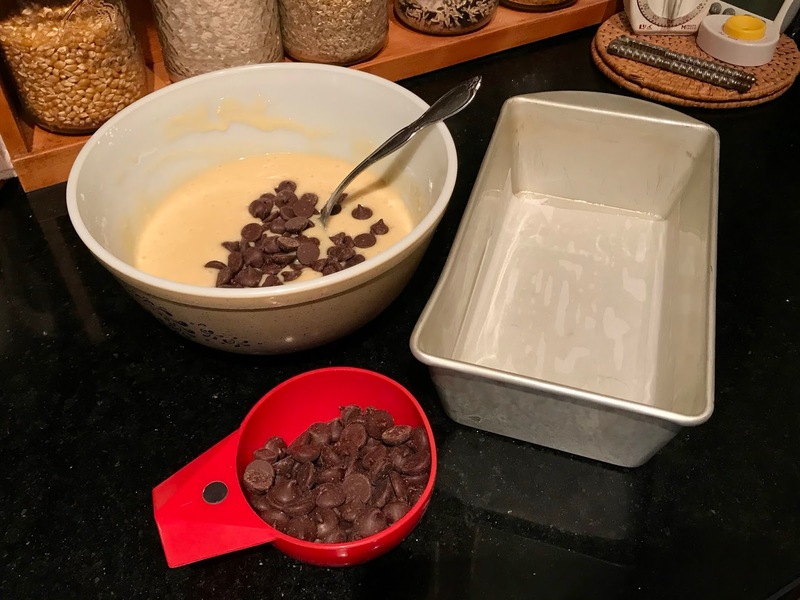 Pour the batter into a loaf pan to bake. Bake at 350 degrees for one hour, or until the top is brown with a crack running down the middle. Wayne and I enjoy a sweet breakfast bread to go with our coffee in the morning. This loaf will last us for several days. We enjoy warmed slices with butter. It's also tasty for lunch sandwiches with cream cheese and late night snacks. Now that we are back to Bellingham and the RV has been returned to El Monte RV, there's time to reflect on our adventure. Here are some of the things we learned along the way. 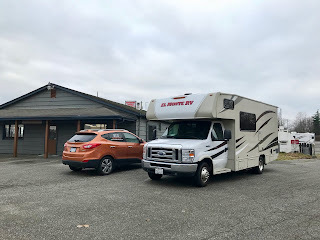 Picking up our RV at El Monte RV in Ferndale, WA. 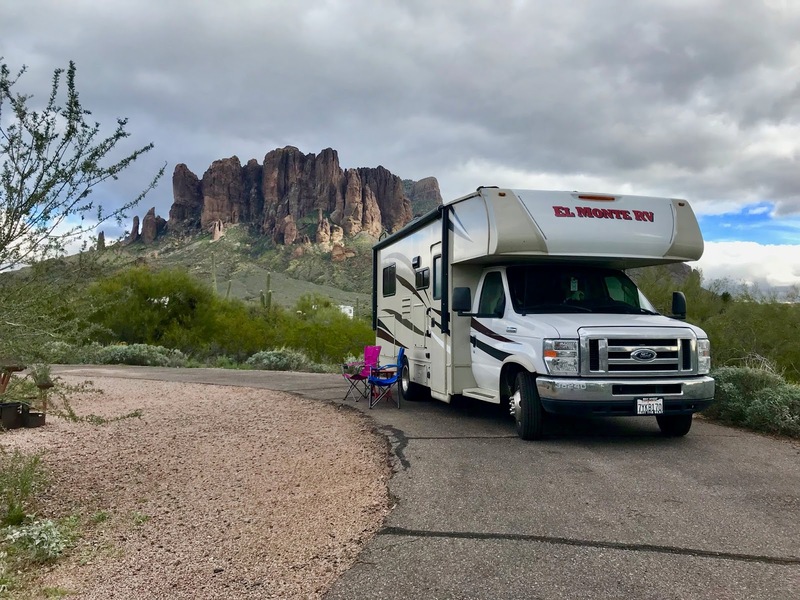 Review your options for price, services, style of RV and availability. A 24' overall length is easy to drive and fits in most parking lot spaces. Select a company that gives you phone and road assistance throughout your trip. Select a company near your home to make loading and offloading easier. When comparing costs, check for extra charges vs bundled pricing. Pay for estimated mileage up front. It's less expensive that way. Rental companies sell insurance, but your own company may provide coverage. AAA and other insurance companies also provide RV road coverage. Let your credit card companies know you will be traveling to prevent freezes. Fuel charges are large and frequent. Request no limits on gas charge amounts. Have a plan for emergency contacts with family and friends. Let someone know where you are going, especially if you will be off-the-grid. Testing out full services at an RV park. 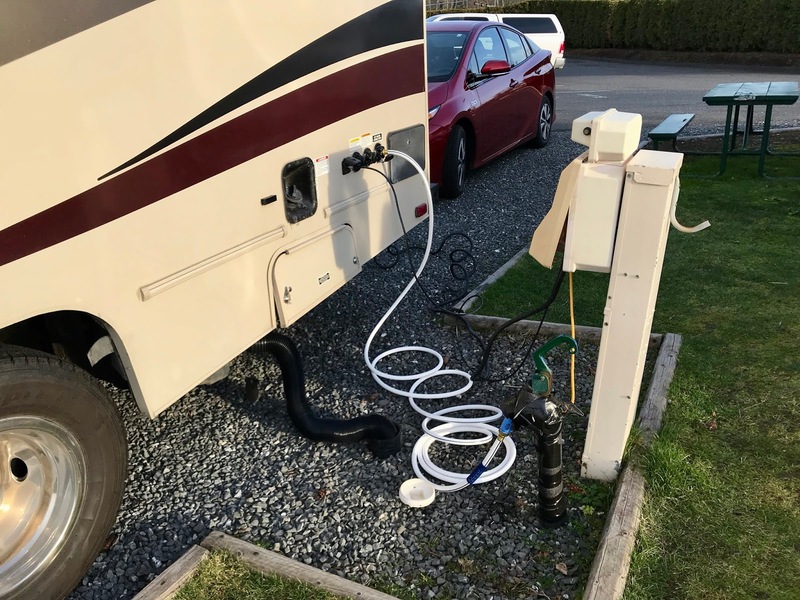 Stay in a full-service park the first night to check out all systems. Rental company phone support is handy if the RV manual is hard to understand. Ask park managers and neighbours for assistance. They usually want to help. Typical small RV kitchen area. 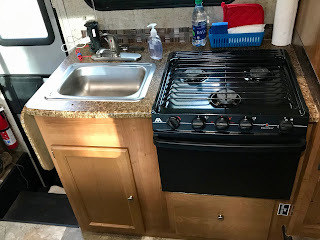 Propane appliances (stove, fridge, heater, hot water) make RVing comfortable. 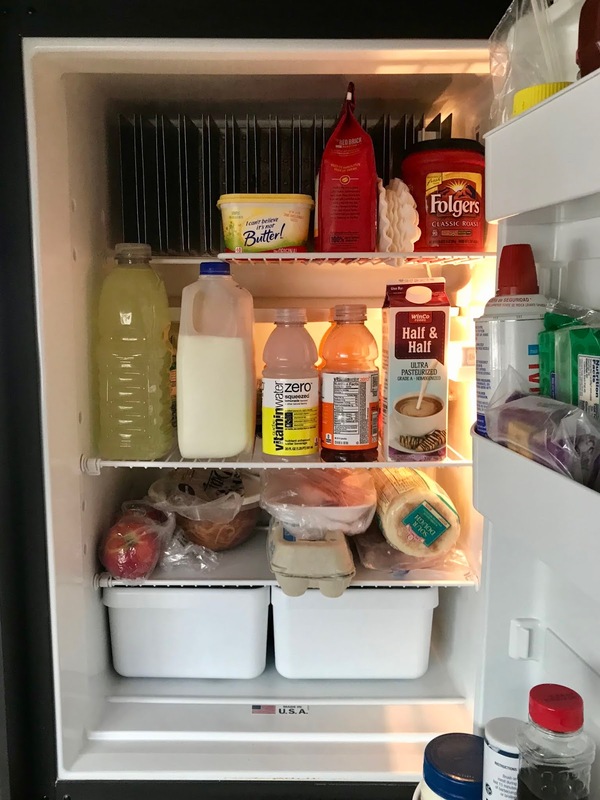 A fridge with auto electric/propane switching keeps your food cold in all conditions. 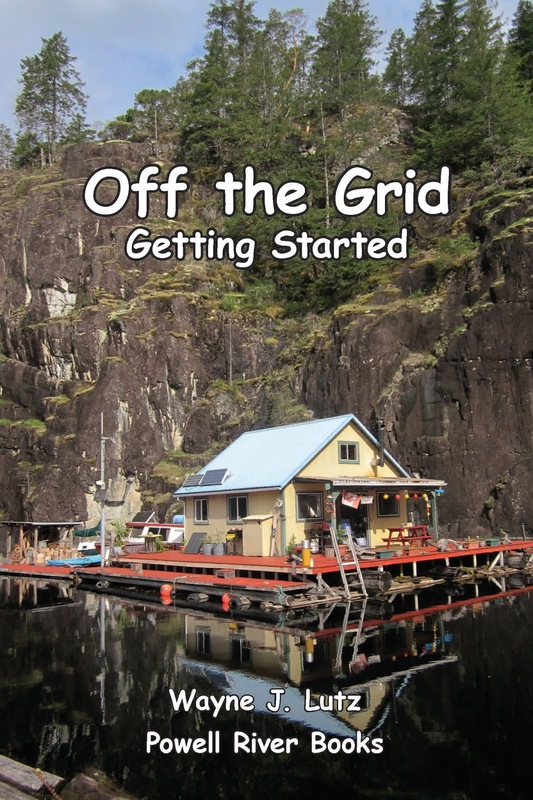 Generators run 120AC outlets and appliances when camping without hookups. Generators are noisy. Follow park rules and be thoughtful of others. Televisions operate in cable and aerial modes if near a large city. You have to scan for cable and/or aerial channels at each overnight location. Some parks require cable provider boxes in order to connect. 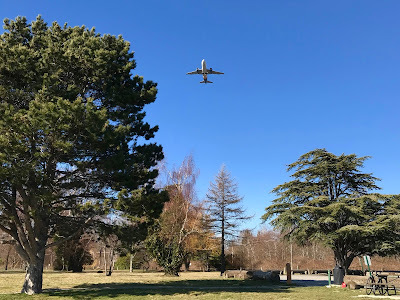 Many parks offer wifi, but connections can be slow. Having cellular data is a bonus. A propane oven isn't necessary unless you plan on baking. A propane stovetop and a microwave are essential for cooking and warming. Schedule your propane refills and holding tank dumps at full-service RV parks. Fresh foods make RV meals simple. Mix onboard cooking with eating out for variety. On travel days, combine gas and late breakfast stops to save time and energy. Keep snacks and simple meal items onboard. With a fridge, salads are great. Grocery and big box stores have large parking lots that are RV friendly. Using an iPad for maps and weather updates. Take a cell phone with voice and data to keep in touch and for emergencies. 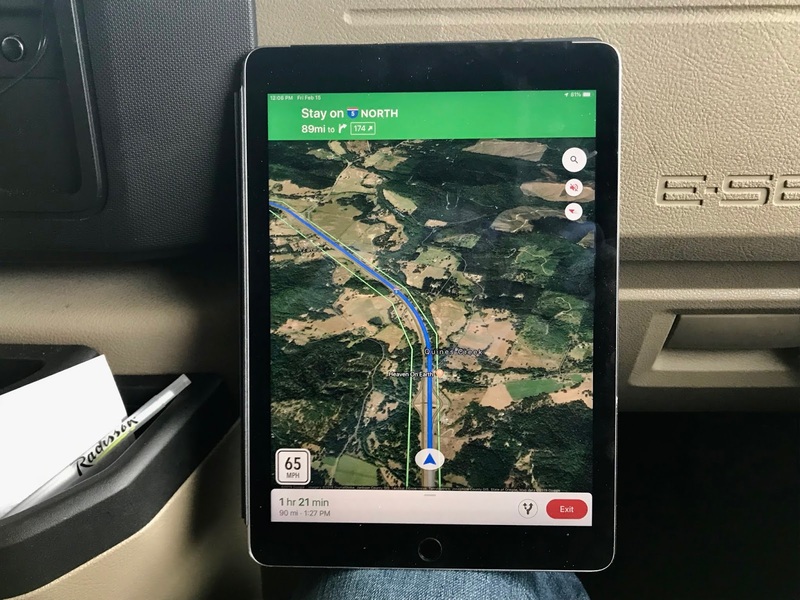 Use a tablet with data service for weather, road condition and camping apps. Use map satellite views to check out parking options at your destinations. Take your laptop for financial and business communications. Bloggers can have fun recording their trip online. Lost Dutchman State Park, Arizona. Choose from public and private campground and RV park providers. Use apps like Allstays, Good Sam and KOA to locate overnight options. Check Google reviews, but take them with a grain of salt. Everyone has different preferences. Your #1 site could be someone else's worst. Most public parks have online reservations, but only a day or more in advance. Popular public parks fill up quick in the peak season. Reserve early. Have a backup plan. That's part of the adventure. We didn't have a problem finding a place to stay even during the peak season. If you arrive late, most campgrounds and RV parks have after-hours registration. Our Tucson, Arizona, Superbowl party. 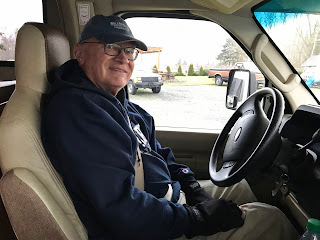 The next 14 posts are a trip log, from our pickup at El Monte RV in Washington to Arizona and back. The posts have be re-ordered for easier reading from start to finish. Wayne in the driver's seat ready to start our adventure. 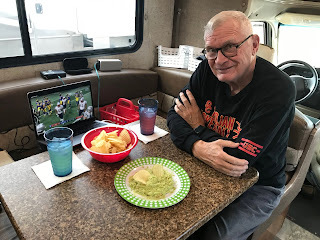 Wayne and I are trying something new, traveling in an RV. We don't own one, we rented one from a local company and that's a story in itself. We researched extensively online and visited five companies before deciding on El Monte RV in Ferndale, Washington. We found the personnel friendly and helpful. And the selling feature was it's near our Bellingham condo, making pickup and loading easy. We decided to take this trip back in August, so we've had lots of time to collect our supplies. And it gave me good ideas of things to get Wayne for Christmas presents. Getting checked out and picking up our 22-foot Leprechaun RV. 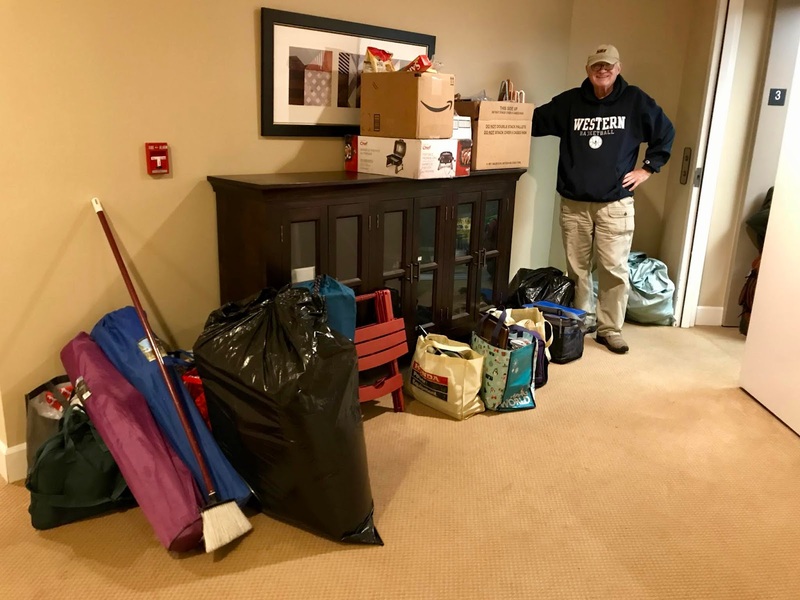 You can rent kitchen and bedding packages for extra, but since we were loading from home we didn't need or want to do that. Loading all of our food and gear into the condo elevator. To help us plan, I found RV camping checklists online at Campanda. They were helpful for essentials and then we modified them to match our travel plans. Loading the RV at the condo front door. 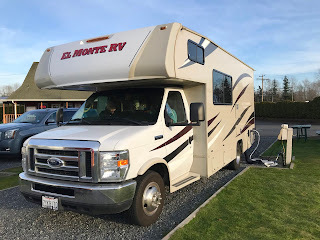 Since we are new to RV travel, we decided to rent a spot at the local Bellingham RV Park. We are so glad we did. It gave us a chance to organize our things and test all of our systems. 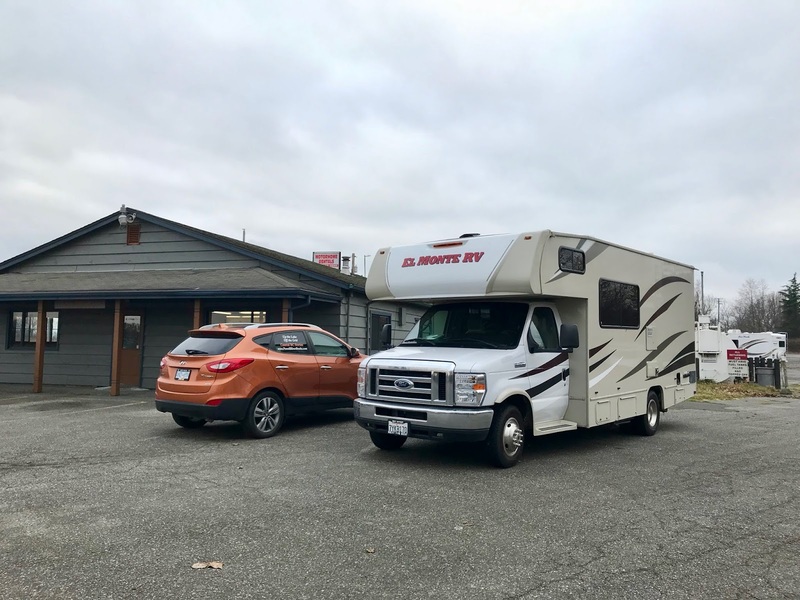 Our site at the Bellingham RV Park. Our checkout and the manual provided helped, but we had a few questions about using cable TV and the water system. We called the On the Road Support hotline and received immediate and excellent service. Fellow travelers and park employees were also very helpful in getting us off the right foot. Hooked up to electricity, water, sewer and cable TV. 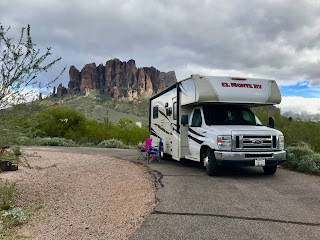 If you want an easy start to a rental RV road trip, I highly recommend taking an extra night at the beginning to learn your rig and it's components. Our destination, ASU for a women's softball tournament. 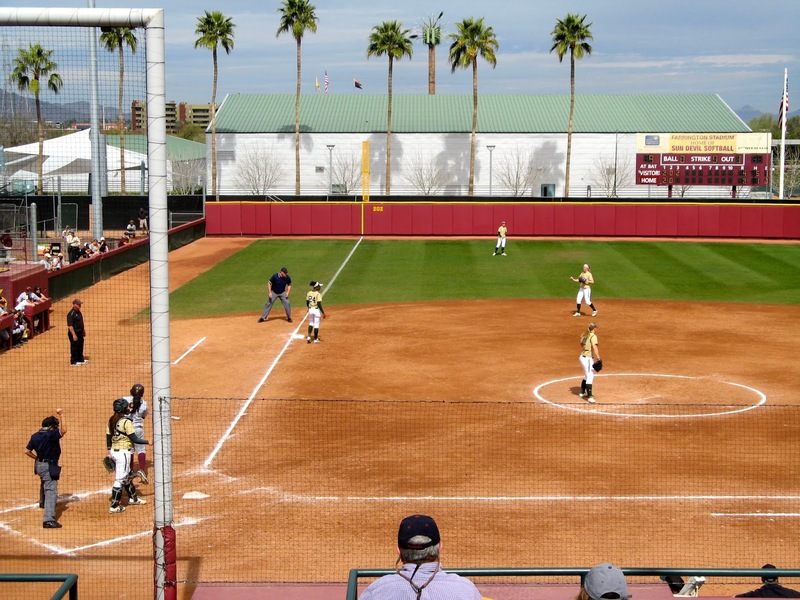 The idea to take an RV trip was part of an annual winter vacation we take to Arizona to watch a women's softball tournament at Arizona State University. Typically we travel by airliner and stay in a hotel. Wayne thought this way would be more of an adventure for us, and he's right. Instead of our one week stay, this time we will be on the road for 25 days. 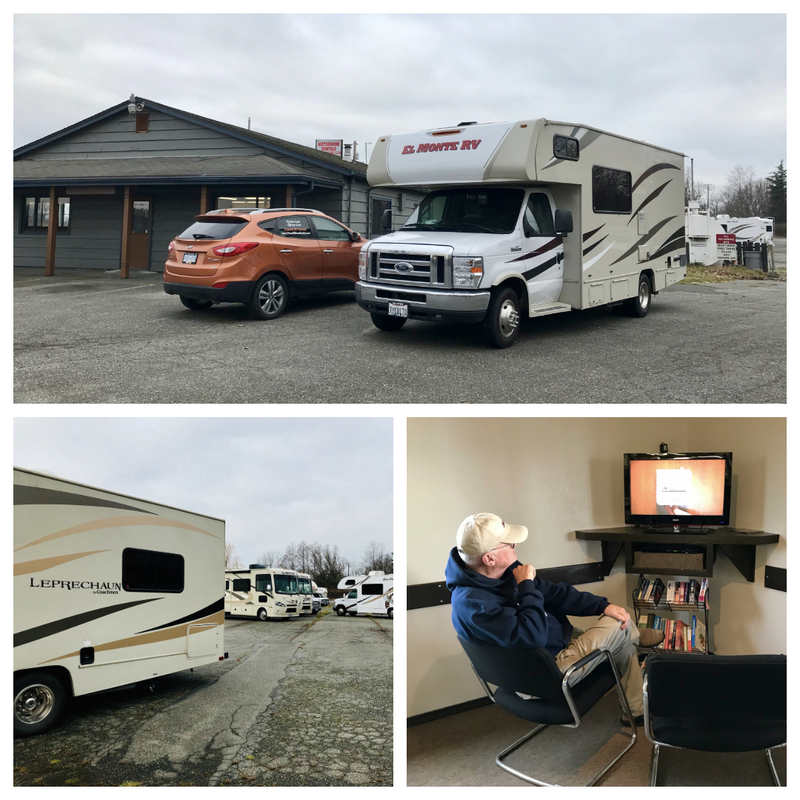 Friday, January 25 -- We picked up our 22-foot Coachman Leprechaun at El Monte RV in Ferndale, Washington. 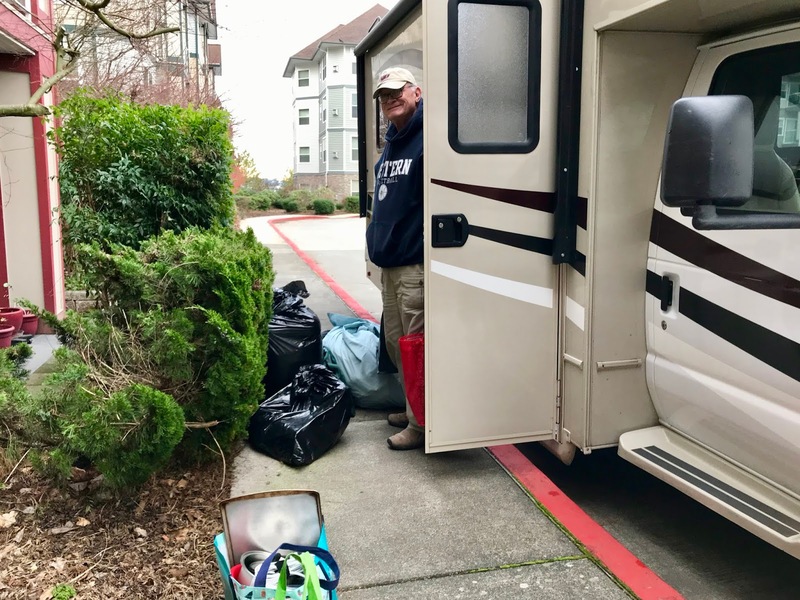 We drove it to our Bellingham condo for easy loading of our supplies and food. We then took the RV to Bellingham RV Park for a two night stay. The first night was to give us time to "move in" and get our things organized. Saturday, January 26 -- The second night was for a Western Washington University women's basketball game and to get an early start on Sunday morning and miss weekday traffic in Seattle and Portland. Today we still had our SUV, which was a good thing. 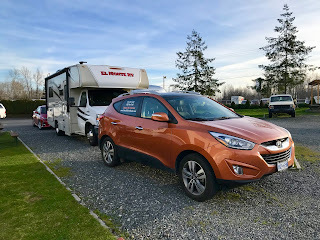 We went shopping to get a replacement water hose (the RV one was leaking) and a few other items. We disconnected our services and emptied our black and gray water tanks before leaving for the basketball game and our last night in the condo. Staying in a local park the first nights worked well for us. 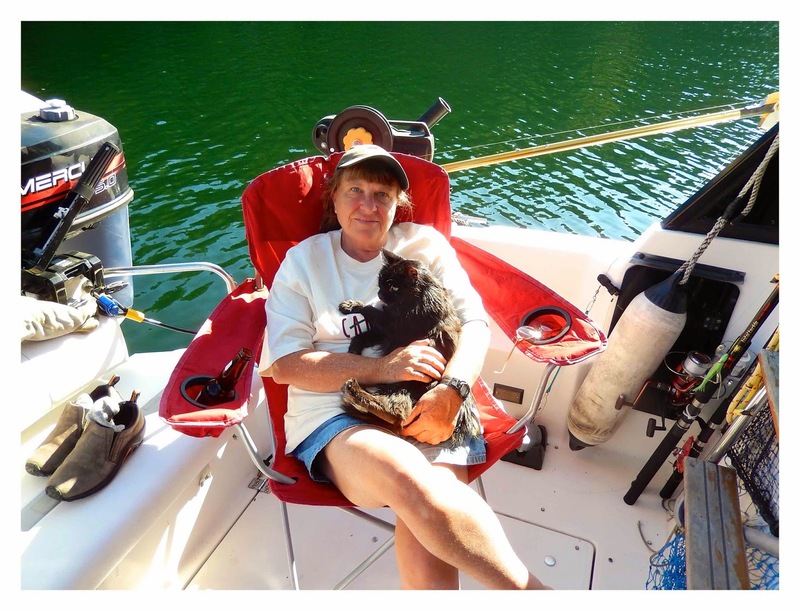 Sunday, January 27 -- Our good friend Jeanne drove us to the RV park to leave on our adventure. We got an early start so we could get as far south on I-5 as daylight would allow. Our goal is to get to northern California by Tuesday before rain is forecast to arrive in the Pacific Northwest. Ready to hit the road. Today was foggy, but with good driving visibility. The RV handled well with Wayne as the driver. I'll take turns as we go along. We stopped for gas in Chehalis, Washington after 180 miles of travel. We turned off the propane before filling at the gas pumps, and back on again after leaving the pumps so our propane refrigerator would keep running. Regarding fuel, we burned 8.18 miles per gallon so we now know how to gauge our future gas stops. What a gas guzzler. 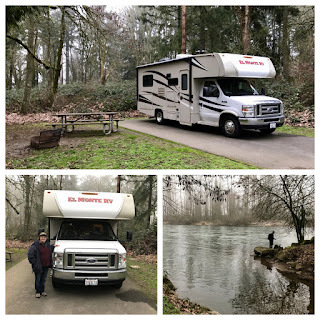 We stopped for the day in Coburg, Oregon, just north of Eugene. There are three RV parks listed on the Good Sam Club app (we joined before leaving to get discounts) and the Allstays app (great for camping, RV parks, and travel services across the United States and Canada). Our campsite at Armitage County Park. First we visited the Premier RV Resort. It was large with lots of amenities next to I-5. We then went to check out the Eugene Kamping World park (not the store). It was a little smaller and older, but still a good choice. We did this for future reference. The McKenzie River on a foggy afternoon.